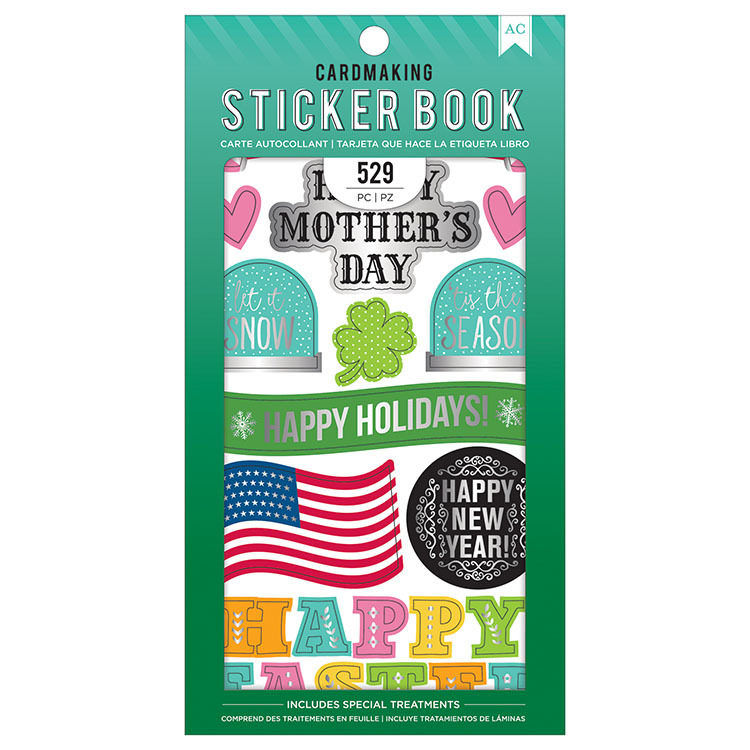 Celebrate All The Holidays throughout the year with the Cardmaking Sticker Book with Foil Accents by American Crafts. 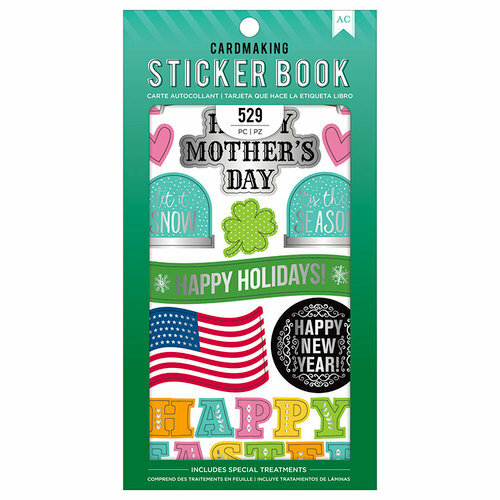 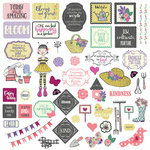 The package includes 30 pages of 529 stickers that feature images including holiday themed images and expressions; some of the stickers feature silver foil. 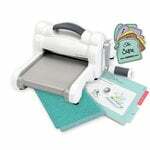 The package measures 4.75" x 9".